You can also find more interviews with women in the MTB world, over on Wideopen Mag, here. I used to run a feature with them called ‘Wideopen Women’s Wednesdays’ – at a time when there was no Total Women’s Cycling and coverage of women’s MTB was limited, this was a way of showcasing women in MTB. Here’s to more years of mountain biking, and to all the inspirational women on two wheels! 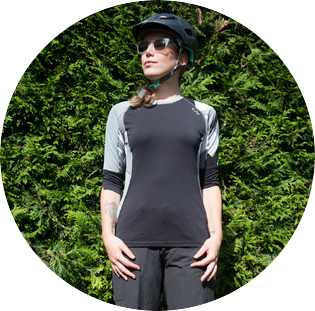 Lauren Jenkins is a freelance writer and editor specialising in mountain biking. She is a down to earth, honest and hardworking person, and really doesn't like writing about herself. © Copyright Lauren Jenkins 2019.